Circular outline. 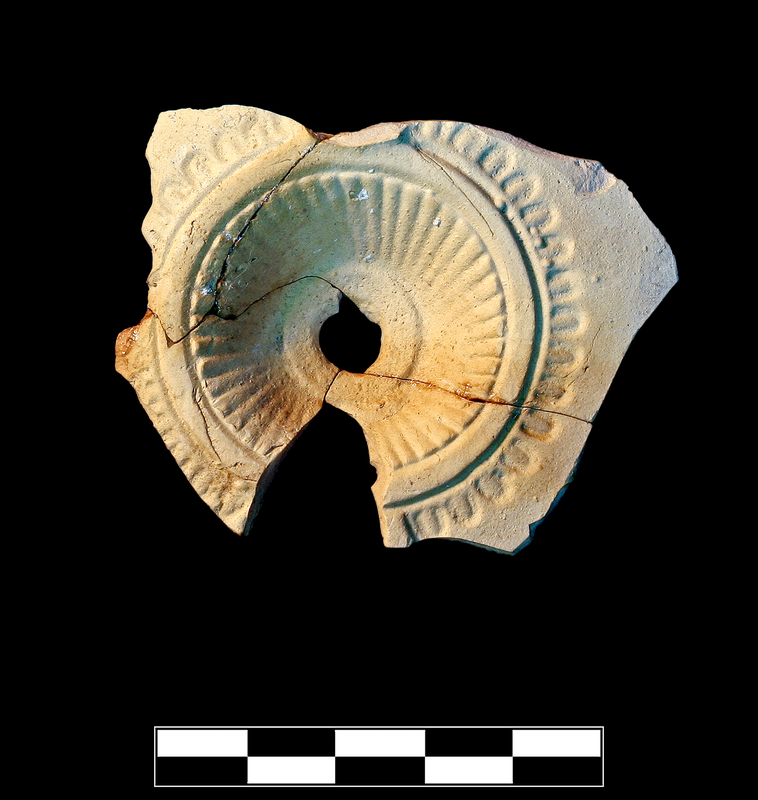 Circular, concave discus has central filling hole with raised, wide, flat ring, rays, and flat framing ring. Wide, flat shoulder has small ovules. Kite-shaped(? ), slightly raised nozzle. 5YR 8/3, pink. Early/Middle Roman Corinthian pale lamp fabric: hard, fine. Four joining sherds preserve almost entire discus and large part of shoulder. Slight, extensive abrasion and scoring; moderate, extensive film of encrustation.